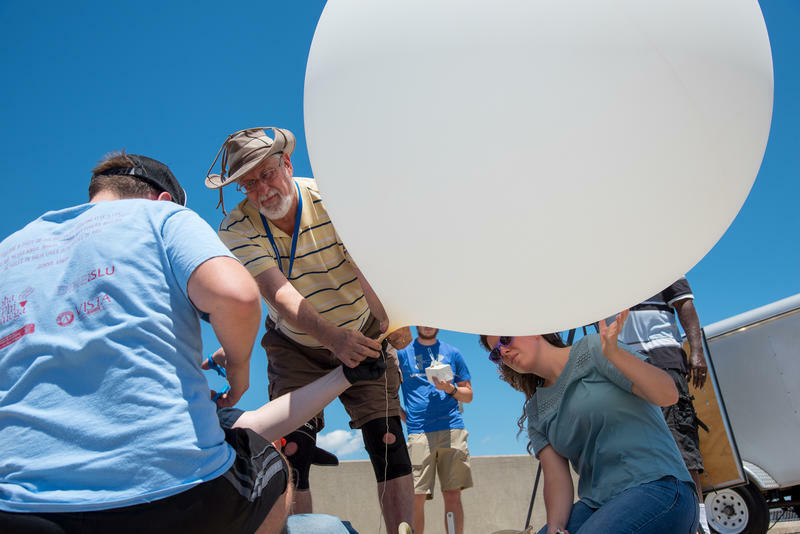 Saint Louis University Robert Pasken and his graduate student Melissa Mainhart perform a test run of a weather balloon that they plan to launch during Monday's total solar eclipse. While total solar eclipses have been seen around the world a few times in the last decade, it’s pretty rare for one to be visible over large, populated areas, such as the United States. Today, scientists are taking advantage of the opportunity to run experiments that address questions about Earth and the sun that only total solar eclipses can help answer. Many of the projects encourage participation from nonscientists who plan to observe the eclipse in the path of totality, the area where people will see the moon completely cover the sun. 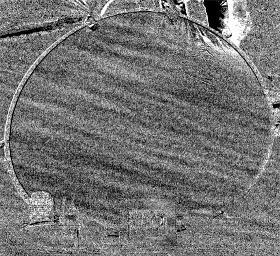 St. Louis Public Radio's Eli Chen reports on the experiments scientists plan to run during the total solar eclipse. What can the eclipse tell us about the sun? Hill is in charge of one of 68 telescopes involved in the Continental-America Telescopic Eclipse project. Dubbed Citizen CATE, it has recruited people along the path of totality operate telescopes with cameras to capture images of the corona, which is the outer atmosphere of the sun. It can only be seen during total solar eclipses. 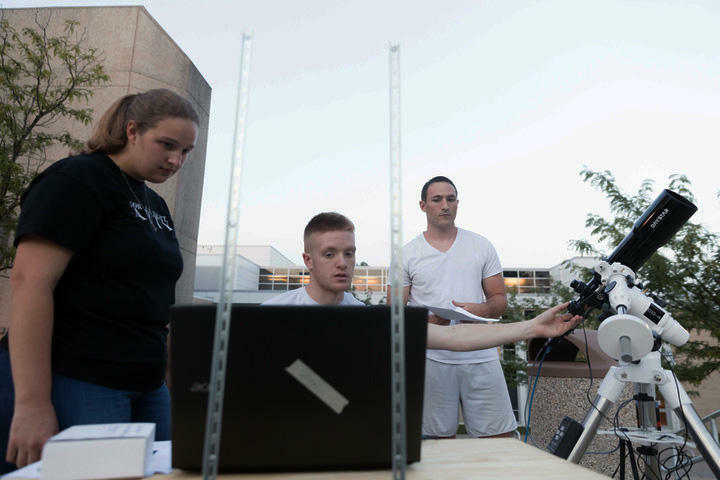 Students at Southeast Missouri State University practicing to align their telescope and camera with the center of the moon as a part of the Citizen CATE project to observe the sun's corona during the total solar eclipse. There’s a lot that scientists don’t know about the sun, said Angela Speck, an astrophysicist at the University of Missouri-Columbia. Citizen CATE will stitch together the images taken by the cameras attached to the telescopes to create a 90- minute video of the corona. How will the atmosphere change? Another project will observe changes in Earth’s atmosphere that occur during the total solar eclipse. St. Louis is one of 30 sites across the country that will be participating in NASA’s Eclipse Ballooning Project. 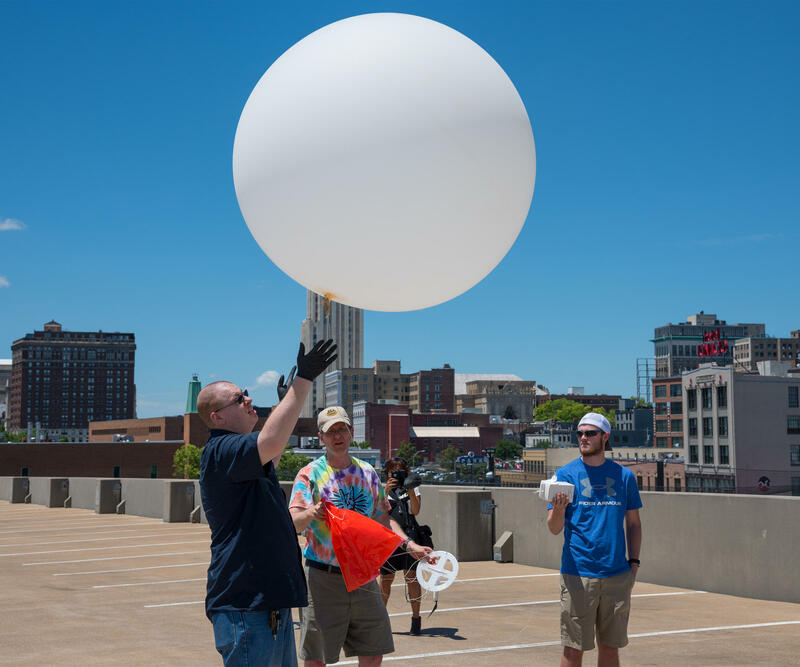 Researchers from Saint Louis University and Jefferson College plan to launch a balloon attached with a weather monitoring device about five minutes before totality. Twice this summer, Robert Pasken, a meteorology professor at Saint Louis University, practiced launching a weather monitoring device, called a radiosonde, that measures conditions such as wind speed, humidity and barometric pressure. Pasken and his students plan to launch their weather balloon five minutes before totality happens. “We [will] get a very nice, rapid snapshot of what’s happening in the atmosphere in this cycle that’s going to occur because of the eclipse,” Pasken said. Pasken said that the data from the radiosondes and Ameren Missouri’s network of weather monitoring stations could help provide short-term wind forecasts in small geographic areas, such as within subdivisions and towns. He plans to use that information to help Ameren prepare for potential wind damage to power lines, poles and towers. He also wants to study shadow bands, mysterious light and dark lines that appear on the ground a minute before and after total solar eclipses. One way to see shadow bands is by placing a white sheet on the ground on the path of totality. Pasken encourages observers to photograph them to help scientists understand why they exist. Scientists also want to know how animals behave during solar eclipses. Researchers have speculated that they might behave the way they do at night. For example, birds may return to their nest to roost and farm animals may retreat into the barn. There is little research on animal behavior during total solar eclipses. 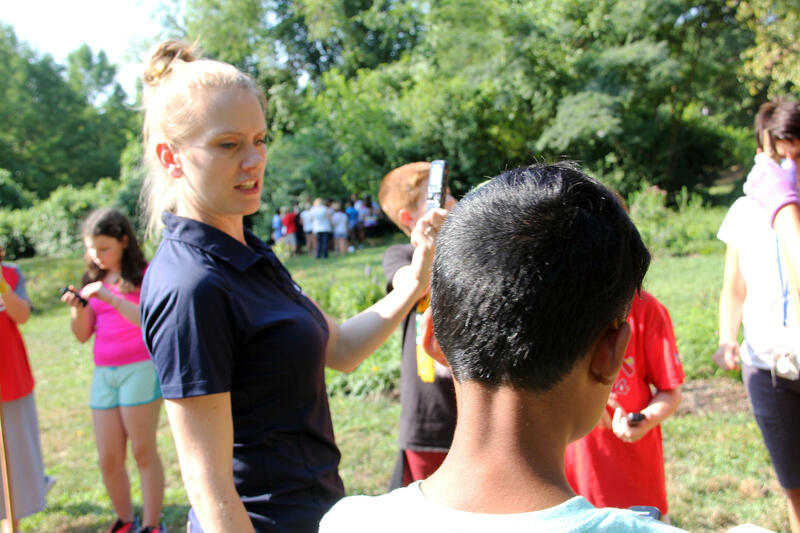 Webster University pollinator researcher Nicole Miller-Struttman instructs children at Steger Sixth Grade Center how to record bees so they can help her collect data on the day of the total solar eclipse. The California Academy of Sciences is encouraging the public to participate in a project called Life Responds, in which they log what they see animals and plants doing during the eclipse into an app called iNaturalist. Locally, scientists at Webster University and Mizzou are setting up recording devices around Missouri to see how the sounds of bees and other insects change due to changes in light caused by the eclipse.